During adolescence, a lot of changes are occurring in a person’s behavior, thinking and emotions, as the brain is still developing. This can make it difficult to know whether a change is due to depression or clinical anxiety, or is part of normal adolescent development; during adolescence, people experience stronger emotions and are more inclined to take risks, be impulsive, and seek out new experiences. The best way to tell whether a change is normal or not is to look at its effects on the adolescent’s functioning. If they are having problems with school or work, stop doing things that they used to enjoy or they are cutting themselves off from friends and family, then there is a reason for concern. The word depression is used in many different ways. People feel sad or blue when bad things happen. However, everyday sadness or ‘blues’ is not clinical depression. People with the ‘blues‘ may have a temporary depressed mood, but they usually manage to cope and soon recover without treatment. What we are trying to prevent is clinical depression. Clinical depression involves feeling down or irritable for at least two weeks and stops a person from enjoying things, they used to like or from taking part in usual activities, such as playing a sport or going out with friends. However, when this happens, other symptoms also develop like feeling worthless, not being able to concentrate, having a decreased or increased appetite, not sleeping well or thinking of suicide. The symptoms are severe enough to interfere with everyday life; they make it hard for the person to focus or perform well at school or college, or to get along with friends and family. At some time, everybody experiences anxiety. When people describe their anxiety, they may use terms such as: anxious, scared, stressed, nervous, on edge, worried or tense. Although anxiety is an unpleasant state, it can be quite useful to motivate a person to solve everyday problems and helping them to avoid dangerous situations. However, anxiety can become a problem if it is severe, long-lasting and interferes with a person’s life. Clinical anxiety refers to symptoms of not being able to stop or control worrying and constantly feeling nervous, anxious or on edge. The anxiety is strong enough to cause trouble at school or work, in personal relationships or to make it difficult to get on with day-to-day activities. 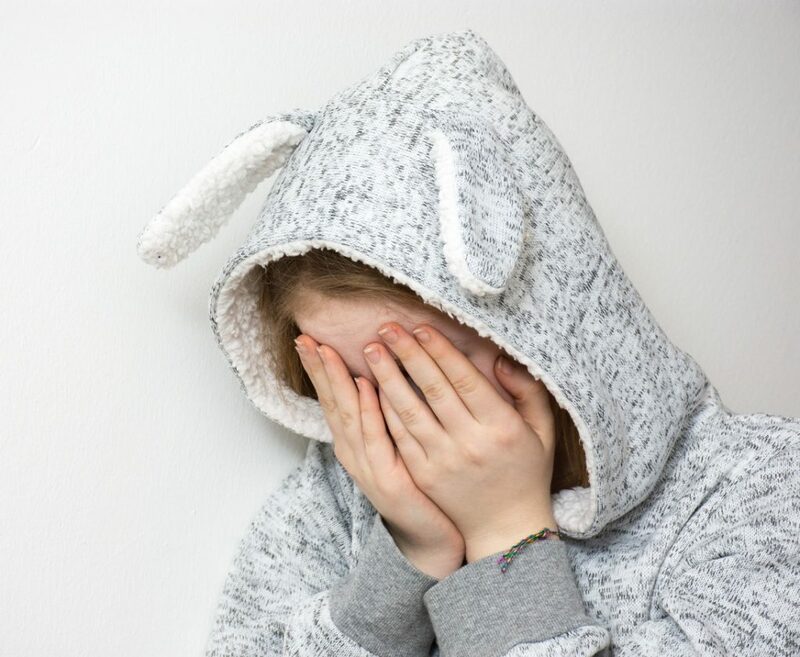 There is a range of factors that influence whether or not a teenager develops depression or clinical anxiety, including a few which parents have some control over. This means there are things you can do to help reduce your teenager’s risk of developing these problems. Your care and support reduce your teenager’s risk of developing depression and clinical anxiety. It is important to show your teenager that they are loved and respected. Express your affection for your child verbally, such as telling them regularly that you love them. Adapt the way you demonstrate affection to your child according to their age and level of maturity.